Scentsy's new Fall/Winter Catalog is out. There are so many new products available this season, plus we have our Harvest and Holiday brochures and products. Pick your favorite warm fragrance to make those fall and winter nights nice and cozy. Check out all the new fall/winter products on my website at https://diane.scentsy.us. Join Scentsy in September for $49 US/$64 CA! 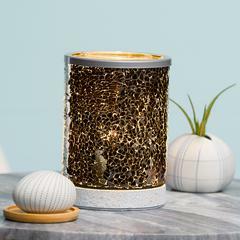 Also, we have our new battery operated warmer - Scentsy Go! Take it with you anywhere. It's so lightweight and portable. Check it out here: http://www.nomorewicks.com/scentsy-go.